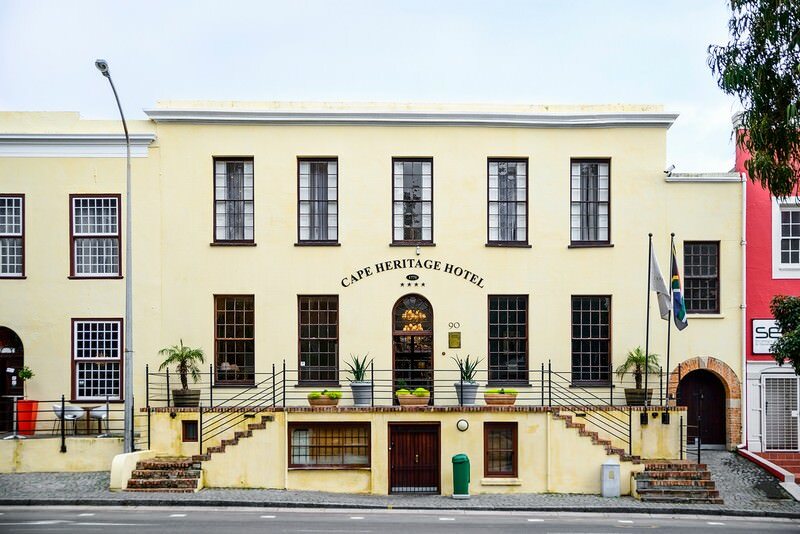 The historic Cape Heritage Hotel offers central accommodation in the 'Mother City' of Cape Town. 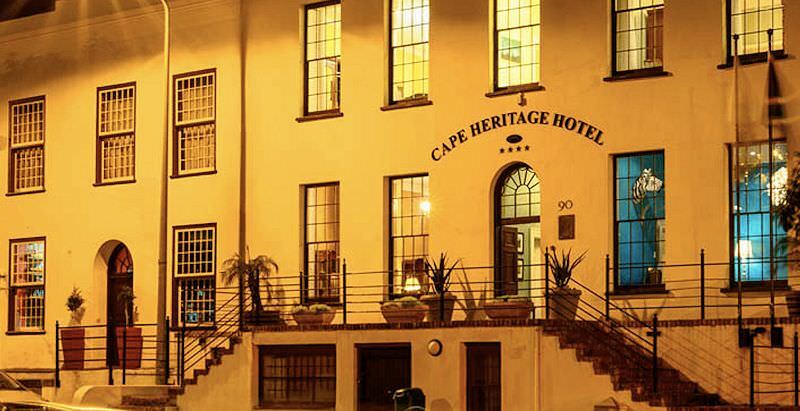 The Cape Heritage Hotel combines modern luxuries with age-old style and class. The 18th century building is part of Heritage Square and thus truly historical. 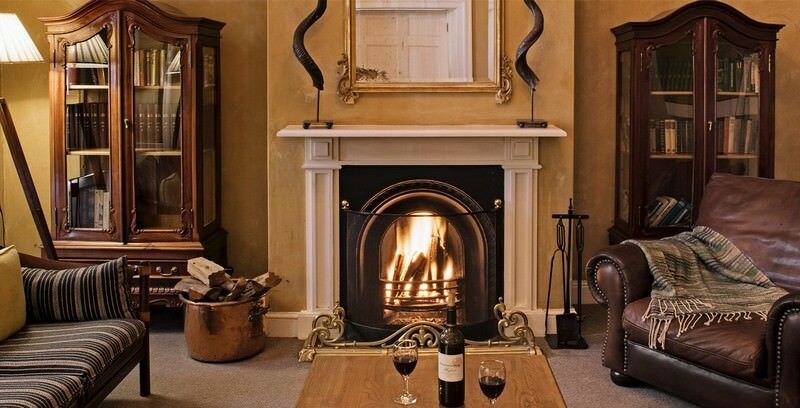 The location of the Cape Heritage Hotel is also unrivaled. It is situated right in the centre of the hustling and bustling city. 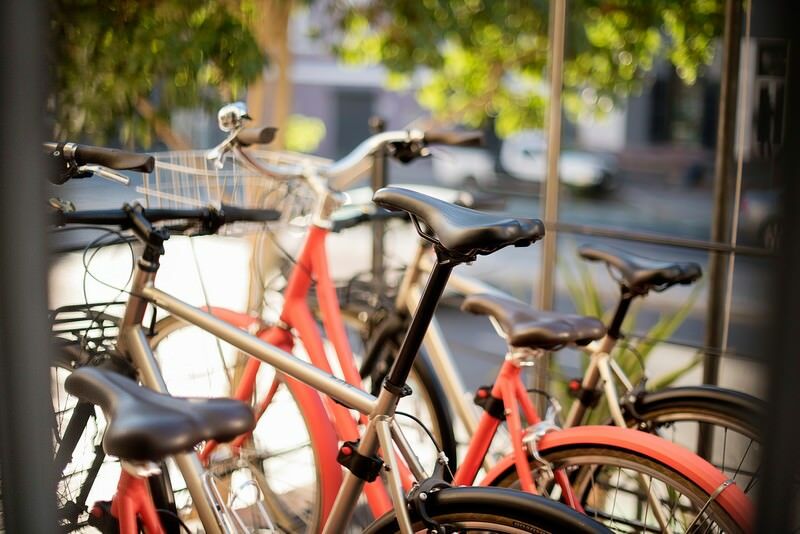 Once you have reached the hotel you can park your car in the free parking area and explore the Mother City on foot. This hotel lets you experience the modern city as well as what the city must have felt like hundreds of years ago. 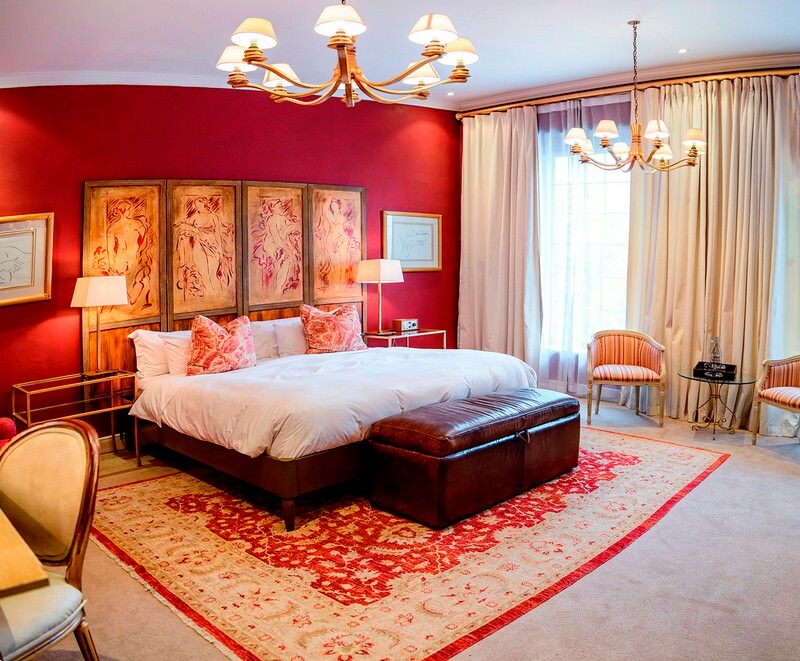 Persian rugs cover the antique yellowwood floors and the décor is inspired by the oriental style that was commonplace in the Cape’s early history. 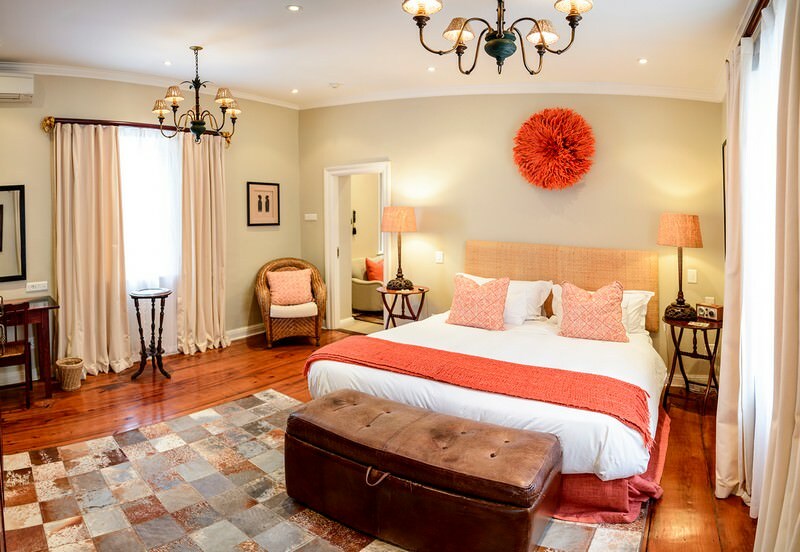 There are 17 unique rooms inside the Cape Heritage Hotel. 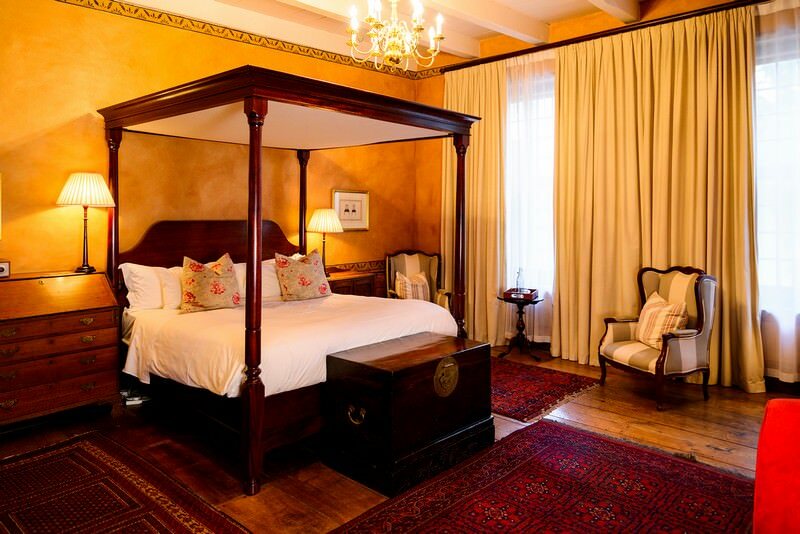 The timeless high ceilings – all constructed of Rhodesian teak - extends the already spacious rooms. The deep-set windows are a testament to the building style of old. Modern luxuries add comfort to the stylish en suite bedchambers. The temperature in every room is carefully controlled. 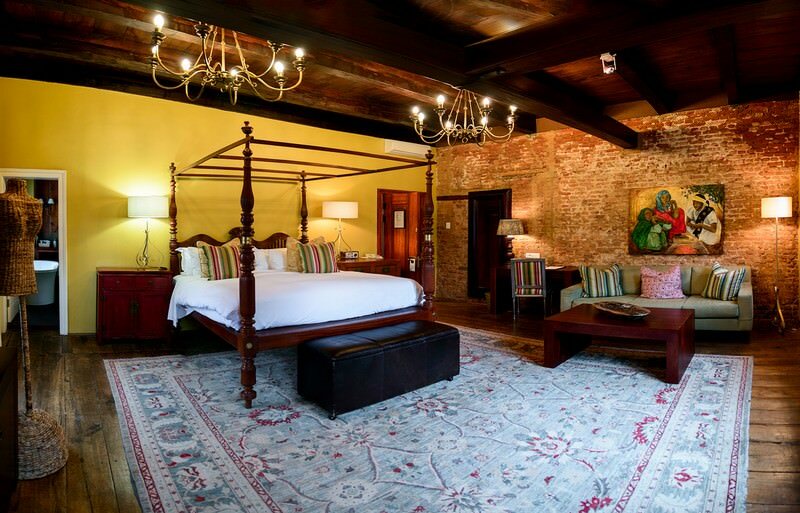 Only the highest quality extended king-sized mattresses are used, which makes sleeping in the Cape Heritage Hotel a pleasure. 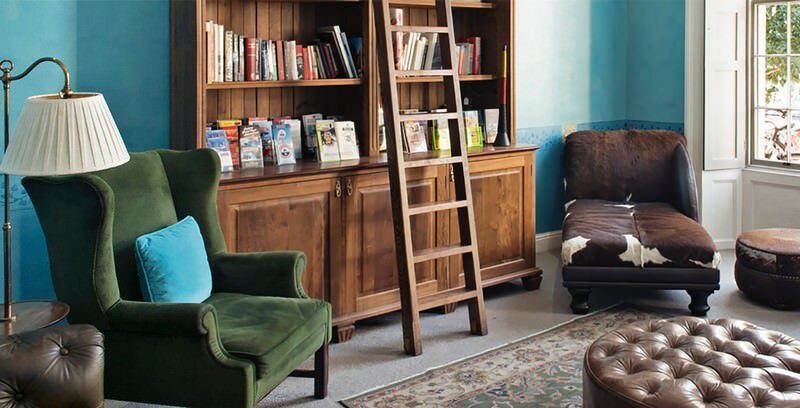 Every room has its own mini bar, satellite television, international power points, and WiFi. 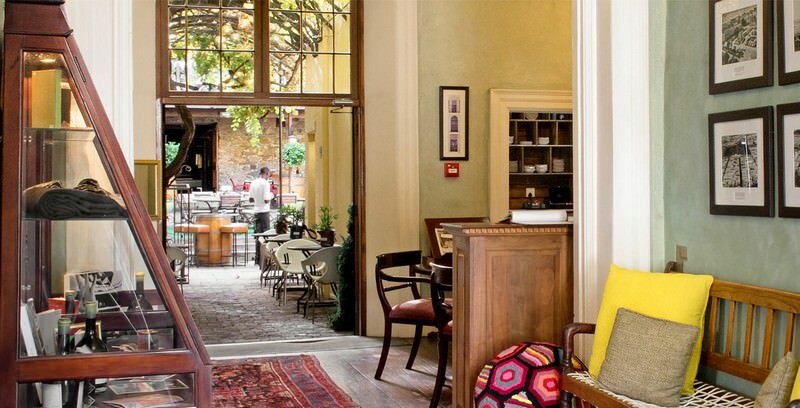 The Cape Heritage Hotel includes breakfast, which you enjoy in the breakfast room or in the courtyard. In the courtyard, you will find South Africa’s oldest fruit-bearing grapevine, which was planted in the 1780’s. It is never watered, but only expertly pruned. 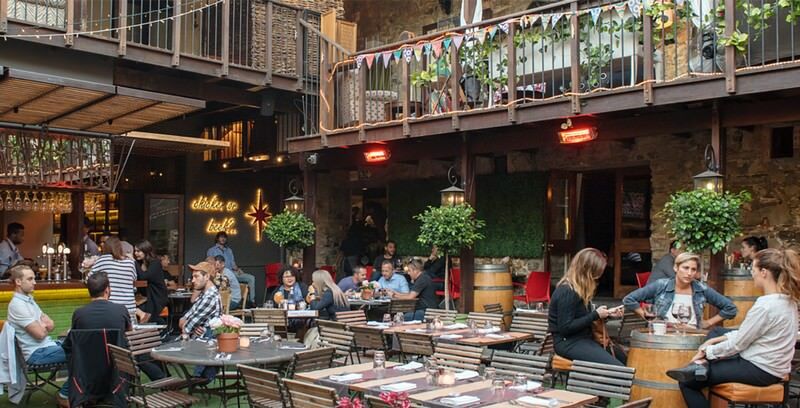 There is no need to worry about acquiring lunch or dinner, as the hotel is surrounded by coffee shops, boutique restaurants and modern eateries. Reception will happily make your mealtime reservations at your behest. Close by restaurants that come highly recommended are Bizerca, Chefs Warehouse, HQ, Simply Asia, Africa Café, and Savoy Cabbage, to name only a few. If you wish to enjoy a light meal somewhere scenic, a picnic basket can be ordered at reception. 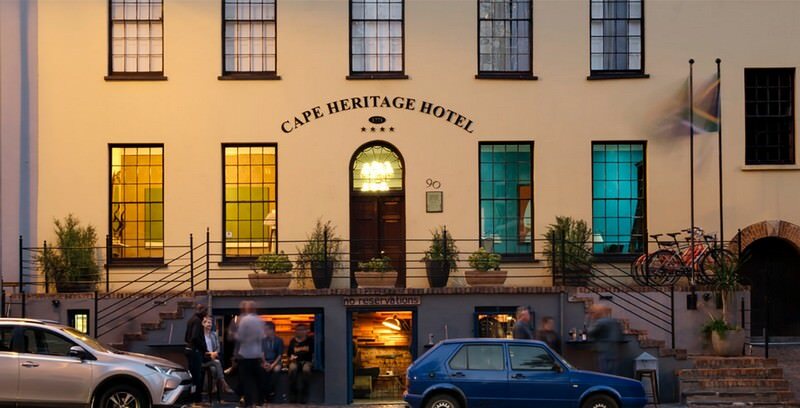 Surrounding the Cape Heritage Hotel is an eclectic collection of modern chic bars, restaurants and stores. The Waterfront is within walking distance and Table Mountain is a short ride away. There is even a hot tub on the roof to relax in, in the center of this dynamic city. Travel to South Africa for a diverse range of vacation destinations. Botswana is one of the continent's wildest and most sought-after destinations. Namibia's desert landscapes make amazing backdrops for safaris. Zambia's stunning national parks include Kafue, South Luangwa & Lower Zambezi. Zimbabwe's top travel destination is the awe-inspiring Victoria Falls. Mozambique's tropical climate & fine beaches make it a top destination. South Africa's Kruger National Park is replete with wildlife, offering the most rewarding game viewing opportunities. The Sabi Sand Private Game Reserve protects 65 000 hectares of lowveld wilderness in northeastern South Africa. Cape Town is South Africa's most sought-after tour destination, home to attractions like Table Mountain and Boulders Beach. The Garden Route is replete with magnificent natural scenery, from its rugged coastline to its enchanting freshwater lakes.